I bought new there ten years to record my songs alone, it is also never left home. it is ideal to learn and very easy to use register. the tape is good, OK, but when the quality is same! 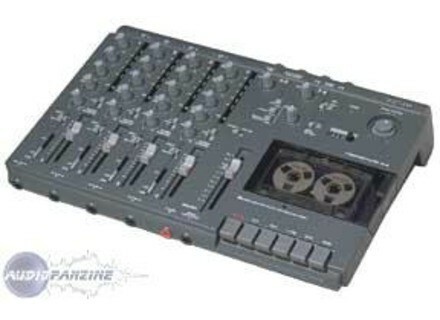 I have not tried before in other models but the brand "tascam" it's not quality ? although a comparison can the era (2200 GB approx) but when I listen to with my bin is still HIFI TB! I used to know a PMA5 ROLAND (3000's era en) is an arranger-squenceur I program (perceived, synth and other) and sent them everything on a path + 1 track for the song, the other 2 tracks, guitar, bass or singing cons + TB quality headphones. if I had to change I think I will be wearing on numrique, but since I do not compose more long lasting fog fluid. I note from the era. 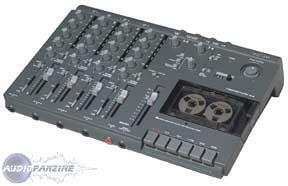 I Tascam 414 MKII possde on now for almost 2 years but I use it more because I had dboires with this unit. Now it is possible that I may be wrong tomb was probably also happen to others. I mean the rate of wow and flutter is such that reasonable I never got to do with good artwork and this since the beginners. So I returned the product to the store to purchase that did conscientiously measured by a laboratory specially. Verdict wow and flutter in the SPECIFICATIONS is mean = 0.12% RMS. However with musician friends or no means all that vibrates the guitar separately all it can, the singer who is not her voice so she shakes and even the bass is pounding ... srieusement gentlemen Tascam how can you sell such a device, not quality of service or what? Yet I tried everything for 2 years: cleaning the heads, rollers, tapes prconises by the manufacturer and I even bought a dernirement dmagntiseur ... Bof! Go even when I put 1 point for the dynamics even when it is excellent. I used the last 3 years, I prfre is that I can work my arrangements or any ides that pass through my head hyper easily, it is versatile mixer with its function and c is handy. No I'd never try other models before it celuis but not for a penny! Report quality made way for something new but at the price argus is a good deal. I still sign I ever did and the choice tomorrow.